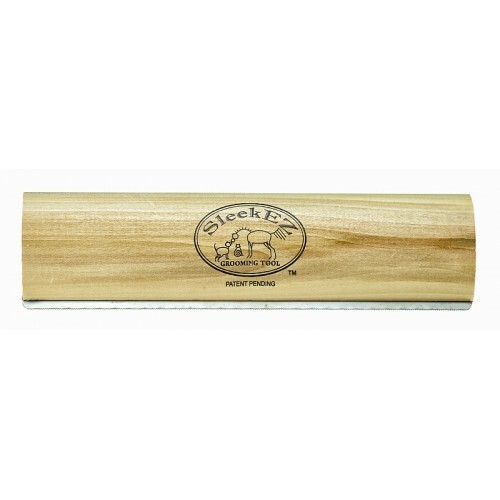 SleekEZ Original Grooming Tool – Comb designed with unique, exclusive tooth pattern created to be used on a variety of coats – from fine to coarse, long to short. 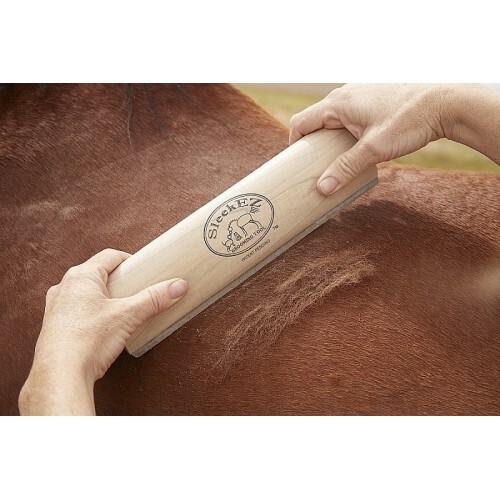 Extremely gentle, yet highly effective – blade will not cut hair or damage coat. No honing edges required. Large 10" size for horses allows users to use two hands and quickly remove loose hair, dirt and dander. Medium 5" size is for all dog coats that shed, including short-coated and wire-haired dogs. 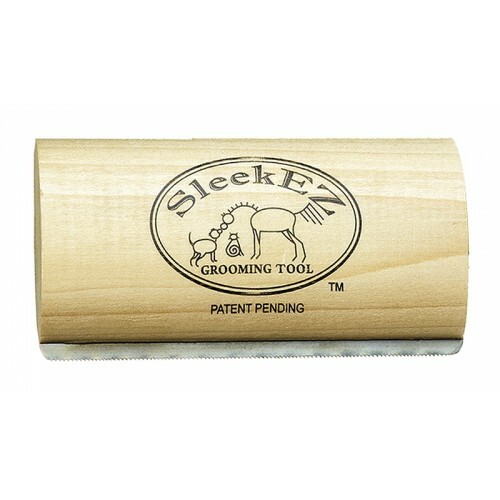 Does not pull hair and tug on skin aggressively, and is preferred and enjoyed by dogs who are sensitive to longer-toothed grooming brushes. Not a detangler and not ideal for dogs with human-like hair, such as Yorkshires or Shih Tzus. 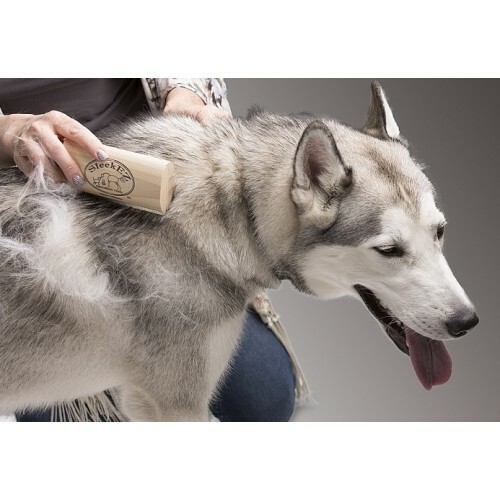 Can be used to remove pet hair, dirt and dander from upholstery, carpeting, saddle pads, cinches, horse blankets and more.